At the door to the now-extinct ACMG room. 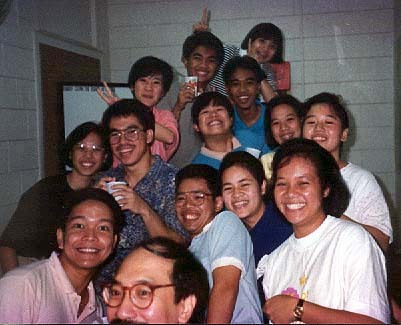 The Campus Ministry Office was the source of never-ending laughter, especially when Fr.Jett and Fr. Mario came over to tell green jokes. 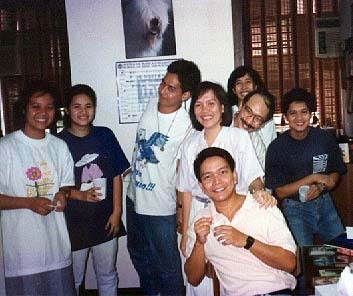 Sr. Reylie: "Jett, tama na ha? Baka ma-discourage na ang mga iyan sa vocations nila."